There has been some buzz going around about the most recent changes to the temple endowment ceremony which have been implemented at the beginning of this year. I have already seen comments by people celebrating the changes and comments by people concerned with the changes. Often these two sides struggle to see from the others’ perspective, and the resulting exchanges turn to contention and strife. “With the restoration of the gospel in these latter days, temple worship has also been restored to bless the lives of people across the world and on the other side of the veil as well. “Over these many centuries, details associated with temple work have been adjusted periodically, including language, methods of construction, communication, and record-keeping. Prophets have taught that there will be no end to such adjustments as directed by the Lord to His servants. I do appreciate this statement being made, taking responsibility for making adjustments, and I agree that they should act as directed by the Lord. The last paragraph gave me pause. While I have learned many things from the Lord in temples, I have experienced more holiness within the walls of my own home, and in my own closet. I believe the holiness of the places we worship has more to do with our hearts than a physical location. The second statement in that last paragraph I find to be incorrect. One can find information about the ordinances throughout the scriptures, and they are regularly discussed outside the temples. It could be that they are referring to parts of the ceremony in which the individual promises not to reveal certain information, except at a certain time in the temple. However, those specific things – and there are few of them – are clearly identified within the ceremony. It is not speaking of the entire ceremony itself, yet many members won’t discuss anything that takes place inside a temple at all, and I have to wonder if it’s out of fear. While not divulging things I promised I wouldn’t, let us take a look at an example of one of these recent changes. There are some changes around the character Eve, of which there are people celebrating, saying that the changes make Eve more equal to Adam. One of the changes is that Eve no longer veils her face during a portion of the ceremony. While the change is subtle, and seemingly insignificant as it doesn’t change the wording of the ceremony (aside from being directed to veil and unveil faces), that does not mean that some meaning was not lost in the change. The temple is a place of learning, and uses a lot of symbolism to teach those who will see about the pathway back to God while in this life. 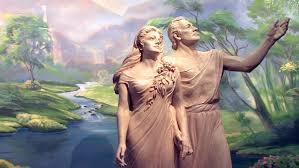 If you pay close attention to the instructions at the beginning of the endowment ceremony, you’ll notice that each of us is instructed to consider ourselves as if we are Adam and Eve*. For years, this instruction seemed to go in one ear and out the other, until the spirit told me to pay closer attention to it one day as I sat in an endowment session. So what does it mean, or what would it look like to consider myself as both Adam and Eve? One of the initial thoughts that flashed before me when I pondered this was Eve veiling her face during a portion of the ceremony called the true order of prayer. It became more and more clear to me that Adam and Eve are two parts of a whole, or spirit and flesh. Adam represents our spirit, and Eve represents our flesh; two parts in our temple. I won’t go through the whole ceremony explaining, you are welcome to ponder that yourself. Now that Eve no longer veils her face, I have to wonder if that understanding will be lost. 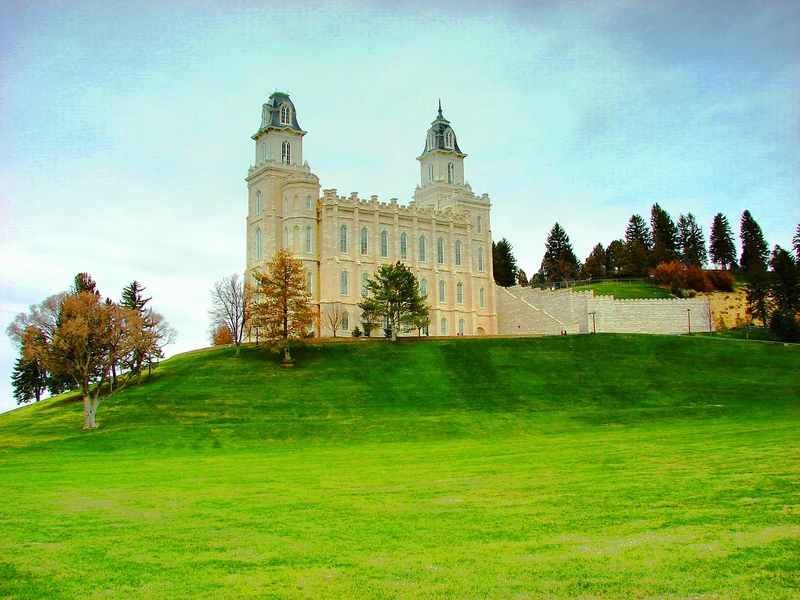 It certainly won’t be as easy to learn with the veil being taken away from the endowment ceremony. This brings me to my next thought. There will be those who simply accept these changes as continuing revelation given to the First Presidency and the Quorum of the 12 Apostles, and there will be those who question whether these changes come from God or from man. Of course, you are welcome to ask Him yourself for your own answer. I would like to point something out about these changes that’s been on my mind. Let me just assume for a minute that the answer I get when I pray is that these changes are in fact being made as directed by the Lord to His servants. I can accept that just fine. But what does that mean for us as a people/church? These changes mainly appear to be taking away understanding from what we already had, not adding understanding (or light) to what we had. When has the Lord done such things in the past? A few examples come to mind. Jacob 4:14 But behold, the Jews were a stiffnecked people; and they despised the words of plainness, and killed the prophets, and sought for things that they could not understand. Wherefore, because of their blindness, which blindness came by looking beyond the mark, they must needs fall;for God hath taken away his plainness from them, and delivered unto them many things which they cannot understand, because they desired it. And because they desired it God hath done it, that they may stumble. D&C 124:28 For there is not a place found on earth that he may come to and restore again that which was lost unto you, or which he hath taken away, even the fulness of the priesthood. These examples of God taking things away are not as a result of the righteousness of a people. D&C 60:3 And it shall come to pass, if they are not more faithful unto me, it shall be taken away, even that which they have. I’m left wondering which is worse; God directing his servants to take away parts of what we already had; or his servants acting on their own accord to make the changes. In either case, I’m not sure this speaks greatly of us collectively as a people/church. Based on some of the comments I have heard and read from some people already, it does seem that there are many who have desired these changes and are celebrating them. I think I feel more like mourning and repenting. *The thought just occurred to me that it’s possible that the instructions at the beginning of the ceremony could have been altered also. I hope that the instruction to consider ourselves as Adam and Eve has not changed.